Here's a card I recently did at my Occasions Class this past month - it features the set For Father - I used the Pencil over Marker Technique (TJNL), it really adds some depth and dimension to the artwork. Lisa, I love this card! 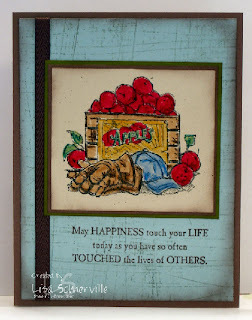 This a cool technique..and using the sanded stamp is a perfect background! Very very nice!